This sign is for Black Maria Chewing Tobacco. The sign’s colors are black, red, and yellow. 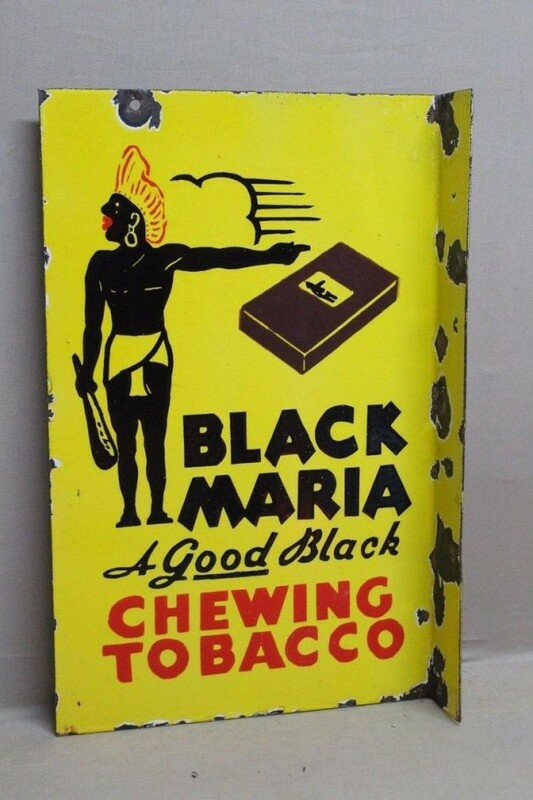 The text on the sign reads: Black Maria A Good Black Chewing Tobacco. The sign shows an Indian with a cigarette pack and text.